The following equipment is only a suggestion from the Striv family. These products will help ensure that your broadcast is “high” quality, professional and successful for your school. If you have any more questions or would like us to help you equip your school’s studio room or purchase additional equipment please contact us we would love to help! 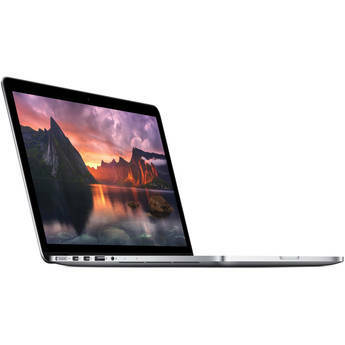 This 15-inch Apple MacBook Pro has a Retina display with 2.2GHz quad-core Intel Core i7 processor, Turbo Boost up to 3.4GHz. The MacBook Pro also has two Thunderbolt2 ports, two USB 3.0 ports and one HDMI port giving you the capability to have an external display and camera running at the same time. Click here for more details to purchase. The new MacBook’s use USB-C, which you’ll need to purchase this dongle to adapt your current Thunderbolt cable. 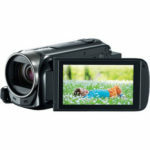 The Canon Vixia HF G40 has a 32GB memory and two SD card slots capturing full HD 1920x1080p video. This Vixia is equipped with a 3.5″ widescreen LCD touch panel and a .24″ color electronic viewfinder in case you can’t see the touch panel in the sun. Weighing about 1.36 lbs. this camera is the perfect camera for your live streaming/recording needs. B&H includes a 6-foot HDMI male to Mini HDMI male cable with the purchase of this camera. Click here for more details and to purchase. The Vivitar Backpack is black with a gray interior. 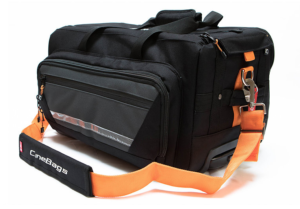 The backpack has a computer compartment (fits up to 13″), adjustable foam-padded dividers, foam-padded top compartment, mesh pockets and many more features. 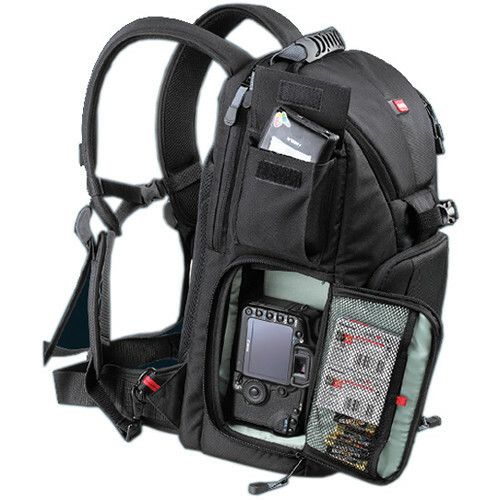 This backpack is a great purchase for your mobile live streaming set-up. Click here for more details and to purchase. The Magnus VT-4000 Tripod comes with a fluid head to take away the abrupt start and stops. 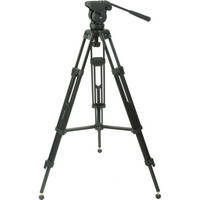 This tripod has a height adjustment range from 27.6″ to 59″. The tripod comes with a quick release plate and can hold up to 8.8 lbs. Carrying Case Included. Click here for more details and to purchase. The mini recorder transfers video from a camera to computer. 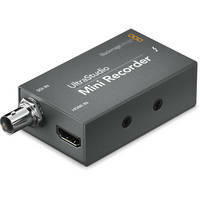 The mini recorder has SDI or HDMI inputs with a thunderbolt output connecting to the computer. 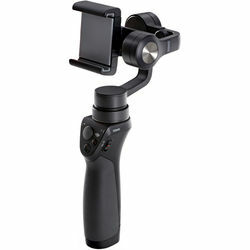 The audio is embedded so you can grab sound from your camera if needed. Click here for more details and to purchase. 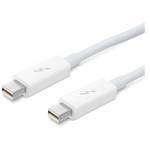 The Thunderbolt cable is up to 12 times faster than FireWire 800 and twice as fast as USB 3.0. This cable has a length of 1.6-feet. Click here for more details and to purchase. 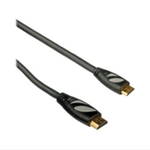 The Right-Angle Mini HDMI to HDMI cable supports 3D, 4K, and full HD video. This cable is 10-foot in length with gold-plated connectors. Click here for more details and to purchase. 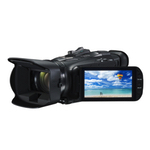 The Canon Vixia HF R72 has a 32GB memory and one SD card slot capturing full HD 1920x1080p video. This Vixia is equipped with a 3″ LCD touch panel display. Weighing about 10.1 oz. this camera is the perfect starter camera for your live streaming/recording needs. Click here for more details and to purchase. 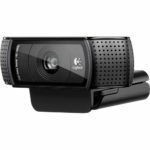 This webcam comes in 1080p at 30fps with autofocus lens. With multiple mounting options, this camera can be used to show the scoreboard during your live stream. Click here for more details and to purchase. 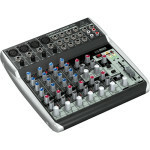 The Behringer XENYX Q1202USB is a 12-input, 2-bus mixer that features four XENYX microphone preamps, “one-knob” mono compressors and 3-band EQs. The XENYX Q1202USB also features a built-in USB/audio interface. This mixer can handle a live gig as well as serve as your audio interface for recording. Weighing a little over seven pounds, this mixer is a good fit for any live stream! Click here for more details and to purchase. Click here to order a 1/4″ Y Adapter cable if purchasing more than one headset. 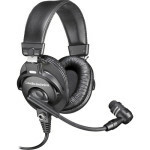 The Audio-Technica BPHS1 Broadcast Stereo Headset is designed for monitoring and speech capturing for news broadcasts, direction, sports commentary and more. The BPHS1 features a closed-back circumaural headset that minimizes outside ambiance and provides high intelligibility. The attached boom microphone features a frequency response tailored for speech capturing. Its cardioid polar pattern minimizes off-axis noise and feedback. A 1/4″ phone connection is featured for the headphones, and an XLR connection is provided for the mic. Click here for more details and to purchase. Click here to order a 1/4″ Y Adapter cable if purchasing more than one headset. 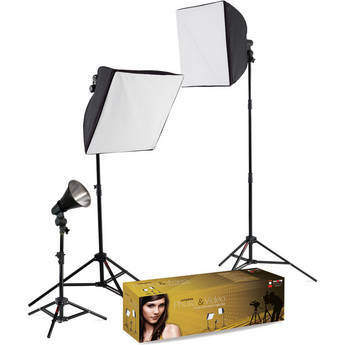 The Westcott uLite Kit comes with 2 – 20×20″ Softboxes and 1 – 100W Background Reflector (backlight). 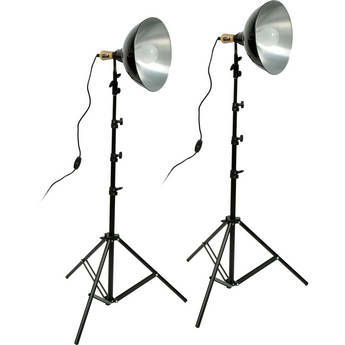 Great lights for videography and photography. Light Bulbs Included. Click here for more details and to purchase. The Impact Floodlight Kit comes with 2 – 500W bulbs and 2 – 6′ light stands. This is the light kit is great for lighting your green screen. Click here for more details and to purchase.